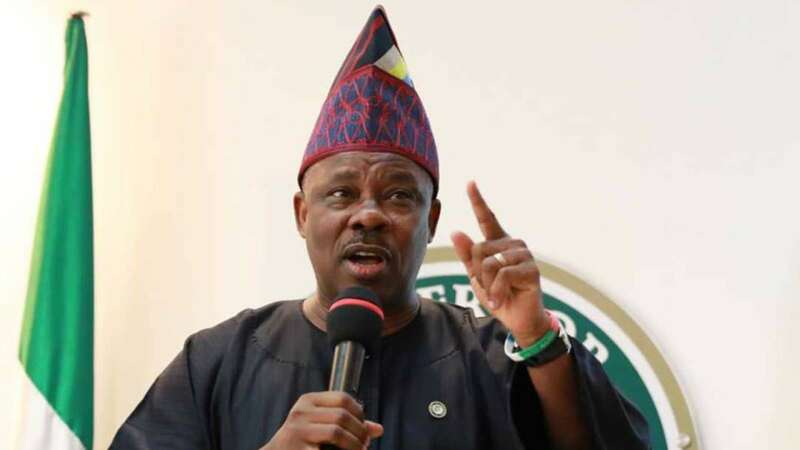 The Governor of Osun state, Ibikunle Amosun has accused the chairman of the All Progressives Congress (APC), Adams Oshimhole of planning to hijack the government of the state by putting his loyalists in power. Amosun said this while reacting to a comment reportedly made by the APC chairman recently. Oshiomhole, in response to claims by the Osun Governor that he is working for the Peoples Democratic Party (PDP), said Amosun acts like he is an emperor. The APC chairman, who said that he will not allow impunity, also added that there is no room in the ruling party for emperors. Speaking further, Amosun said “This is however, without prejudice to the sanctity of the consensus arrangement which Adams Oshiomhole hypocritically tried to demonise. “Nigerians will recall that Oshiomhole himself was elected national chairman of the APC by consensus arrangement which witnessed all other contestants to the office being prevailed upon to step down for him (Oshiomhole). “The grounds on which Oshiomhole disputed the governorship primary in Ogun State is that the result was not announced by the State Electoral Committee from Abuja, meaning that the governor resorted to self-help. “We wonder why Oshiomhole accepted the result of the primary election in Lagos State when the result was also not announced by the State Electoral Panel. Why will the same scenario be acceptable in Lagos State but regarded as self-help in Ogun State? Is it because it was executed by the Capo Di Tutti in Lagos State? “We wish to call the attention of Nigerians to another evil being perpetrated by Oshiomhole in Ogun State. “As of today, November 3, which is 24 hours after the deadline for submission of names of candidates for the House of Assembly to the INEC, Oshiomhole has not given INEC Party Candidate Form (CF001) to any of the 26 candidates who won the primaries to contest the Ogun State House of Assembly. “The primary was conducted on October 7 by the State Electoral Committee headed by Col. Ali Ciroma. This is despite the fact that the state chairman of the party had kept vigil at the national secretariat of the APC in the last two weeks to collect the forms. “If Oshiomhole is denying the outcome of the governorship primary because the State Electoral Committee shied away from announcing the result, what is the reason for denying all the 26 candidates for the House of Assembly freely elected by members of the APC in Ogun State? “We want Nigerians to note the duplicity and meddlesomeness of Comrade Adams Oshiomhole and his gang in the affairs of the APC in Ogun State," Daily Post reports. According to sources, all the state chairmen of the All Progressives Congress (APC) have finalised moves to remove Oshiomhole. Punch also reports that some Governors who are at loggerheads with the APC chairman are rallying Senators to perfect his sack. Oshiomhole incurred the wrath of some state Governors and other members of the ruling party following the outcome of the just concluded party primaries across the country.